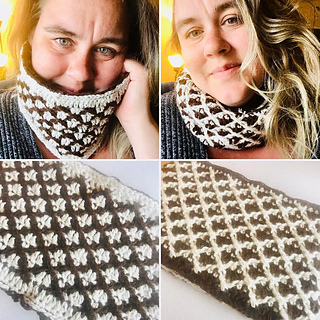 This crochet cowl is totally customizable. For the pictured size it should take under 10 hours make, making it a great last minute gift. Your neighbor, teacher, husband, or piano teacher would be thrilled to wear this cozy cowl. Instructions are given so you can have this at any length, or width. I even sewed two together to make a reversible cowl. Join my group on facebook for more tips and tricks! This worked out perfectly for two 220 yard hanks of my friend’s alpaca yarn. 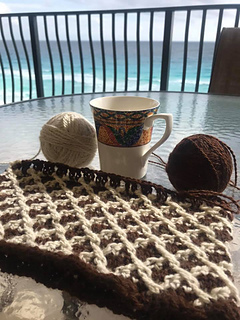 Stitches used are: single crochet, double crochet, X-st. Cowl is worked in the round. Any questions and concerns will be addressed. My goal is to see everyone accomplish something they never thought they could.